Targa Real Estate Services, Inc. is pleased to announce that we have added The Heights to our multi-family home portfolio! The Heights is a 106-unit community located in the South Hill neighborhood of Puyallup, WA. Surrounded by tall evergreen trees, The Heights is a beautiful gated community that sits at the crossroads of affordable and luxury. The Heights offers homes that provide the necessary amenities that add ease to every day functions while also providing the popular amenities that take these homes to the next level, including private balconies and patios, in-unit washer and dryers and wood burning fireplaces. Adorned with an elegant clubhouse, The Heights boasts a fully furnished fitness center, outdoor seasonal pool and hot tub and community playground. 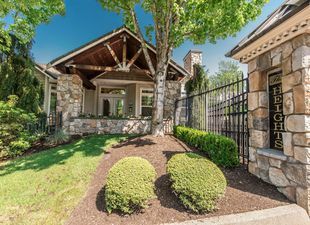 Adding in a convenient location neighboring South Hill Mall, the Washington State Fair, all levels of schooling and downtown Puyallup, The Heights is a prime community to call home! Providing a high level of convenience, The Heights offers online services in the Active Building resident portal that allows residents to make payments and place service requests. On-site staff is available Monday through Friday tending to residential and community needs. Find out more at www.theheightstarga.com or call at (253)445-4999.